Achieving health in Africa through a united global community. Monitoring and analyzing health issues: ASH gathers knowledge on current trends in health, identifies constraints which prevent progress in improving health in Africa, and identifies solutions for addressing these constraints. Communicating and advocating for the adoption of promising and best practices: ASH shares information with regional partners about the effectiveness of health interventions, and advocates for the adoption of these practices. 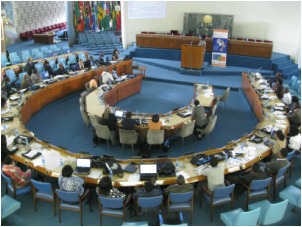 Enhancing technical capacity of African health institutions: ASH engages African regional institutions to address health issues in a sustainable manner and to build capacity in leadership and management. ASH promotes African strategic and technical leadership with the objective of empowering Africans to enhance country ownership. L’Institut pour la Sante et le Development (ISED, University of Dakar). ASH also has collaborative partnerships with selected African regional institutions and associations of health professionals.